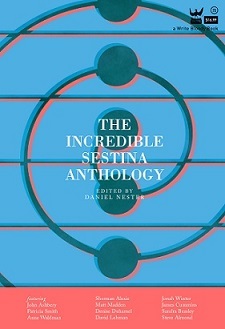 Incredible Sestinas | Home of The Incredible Sestina Anthology. 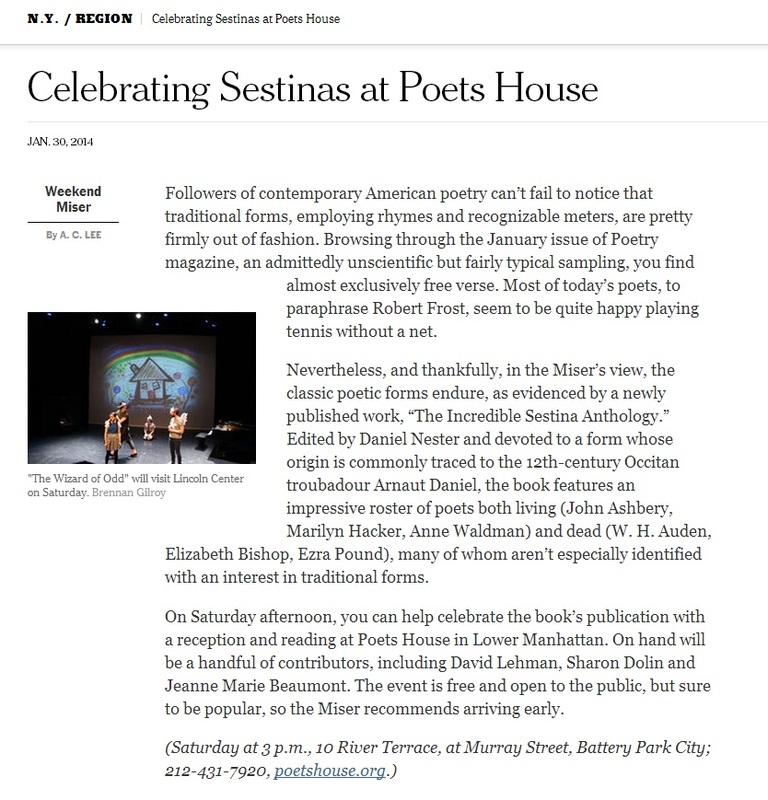 “Celebrating Sestinas at Poets House,” pick for February 1 launch reading, by A.C. Lee, New York Times, January 30, 2014. Q&A With Daniel Nester, Author of The Incredible Sestina Anthology, at Geekadelphia. Book notes and playlist for The Incredible Sestina Anthology, at largehearted boy.